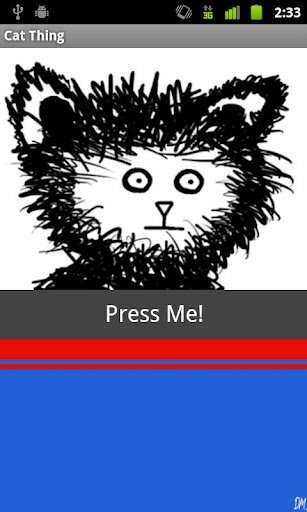 If there’s one thing I've learned after finding quite a few “WTF” apps, it’s that app developers obviously get bored. So bored in fact that sometimes, they make an app so truly pointless, meaningless, and downright stupidly amazing that I honestly can’t imagine what was going through their head when creating it. 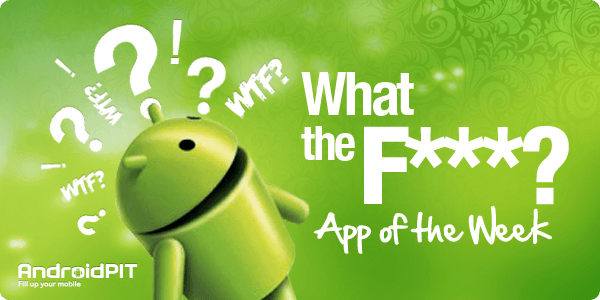 Ladies and gentlemen, that is exactly what our AndroidPIT “WTF” App of the Week “Cat Thing” is: Plenty of pointless, tons of meaningless, and loaded with "WTF". That’s it. There is no other screen (THE screenshot would be more accurate). So what happens when you push the “press me” button? What could logically happen next? To hear the sound of a cat possibly? Well that’s what happens....but with a twist: Instead of hearing the sound of a cat, you hear the sound of the developer doing his interpretation (with no effort or forcus on accuracy whatsoever) of what a cat sounds like. The only deceptive part of the description is where he states you can hear the “soothing” cat noise, as his impression is everything but soothing...but plenty of WTF. If you like his take on the cat, he also went as far as to create another app with a complete animal soundboard (The Monotone Animal Soundboard) that features him making the noises for other animals (again, making no effort whatsoever to sound like the actual animal). You can download Cat Thing here, and if you crave more, The Monotone Animal Soundboard can be downloaded here.